Booths vary from 6x10 to 10x10 for $150+. Add $15 for electricity. 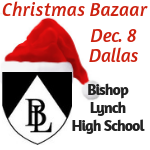 Drill team and parents will help unload and load your vehicles, discounts on breakfast and lunch, drill team will bring you lunch and drinks by request, chairs included.